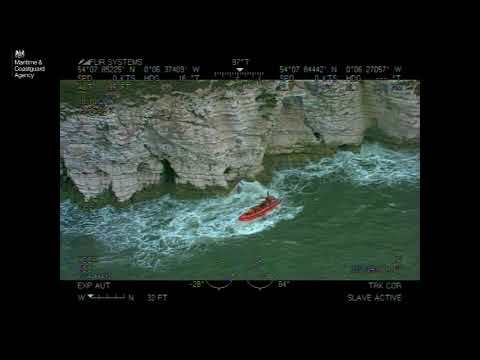 A number of boats now have self-tacking jibs, but these are sometimes criticised because it’s said that they make it impossible for the boat to heave to. I have found the self-tacking system on my Hunter Pilot ideal for short-handed work, and for short tacking. However, a couple of modifications have greatly improved the jib handling. 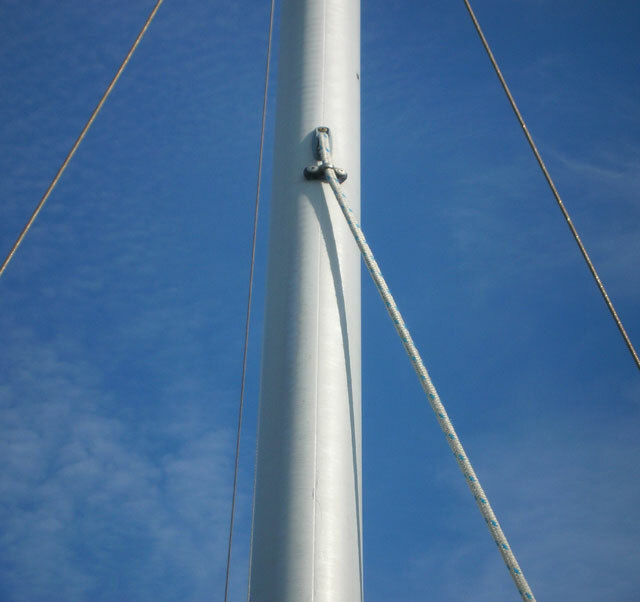 Firstly, the jib sheet goes from the clew to the track slider and then enters the mast about a third of the way up to provide an arc comparable to the curve of the track so that you do not have to adjust the jib sheet length while tacking. I found that the sheet sometimes got jammed in the cheeks of the mast block, particularly when hardening up from a brisk reach where it is being pulled sideways. I cured this by pop-riveting a small fairlead just below the block. 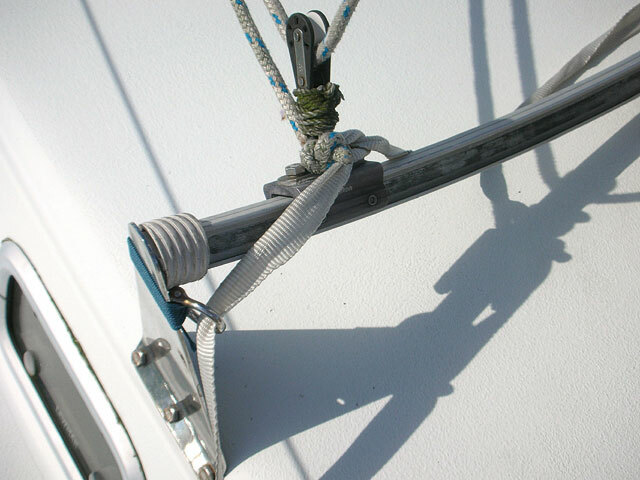 I cured the heaving to problem by fixing a webbing tape (not a round section line, which can roll underfoot) from a point easily accessible from the cockpit – along the side deck to a bow shackle fixed at the end of the jib track – then on to the slider and so on back to the other side of the cockpit. In order to heave to I just pull the jib up to windward with the ‘heaving to tape’ making it fast to a convenient mooring cleat. This tape is also useful on a run to prevent the traveller slamming back and forth along the track, and comes in handy if the traveller does stick on the track while tacking – although this is a rare occurrence, particularly if I lubricate the track and slider once or twice a season. I have found that a dry silicone lubricant is less messy than WD40 for this. I bought dry-lube spray from the haberdashery department of a John Lewis store. 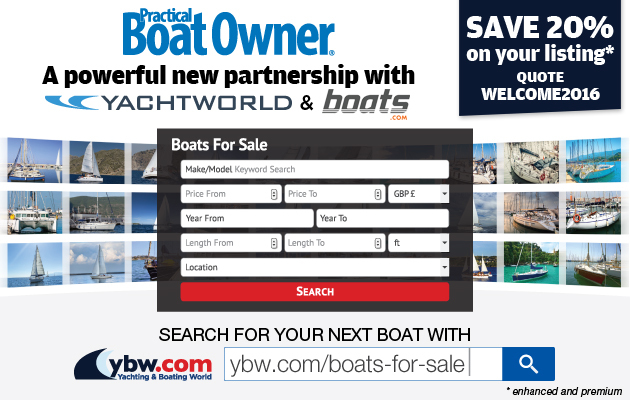 It’s ideal for lubricating the mast track too. I squeezed a fragment of sponge into the track between the top two mainsail luff sliders and soaked it with the lubricant. The sponge then cleans and lubricates the track each time the mainsail is hoisted.